While Russian capital markets regulation has come of age after more than two decades of rapid – and at times erratic – development, it still has some way to go before it reaches maturity. The process of Russian capital markets regulation started with the dismantling of the centrally planned Soviet economic model during the last decade of the 20th century, and a search for the most suitable market-oriented substitute for a defunct legal and regulatory regime. Apart from some scant financial market concepts and terminology antecedent to the Bolshevik revolution of 1917, Russian law provided little (if any) of the frame of reference needed to jump-start market reforms. 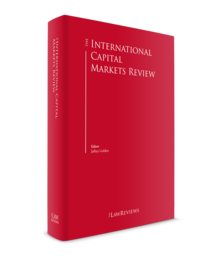 The legislative reforms of the 1990s were heavily influenced by the US model of securities regulation, which at the time was given credit for governing the most liquid and efficient capital markets in the world. Russian financial regulation has since been decoupled from the US model proper, while largely following international trends. Significant strides have been taken in recent years, with the aim of expanding the product line of financial instruments and enhancing discipline in financial markets. Some other initiatives and commitments, including those taken within the G20 process, are still work in progress. The centrepiece of Russia's capital markets regulatory framework is the Federal Law on the Securities Market (the Securities Market Act). The first version was enacted in 1996, which has since been amended more than 40 times, including most recently in 2016 as discussed in more detail below. bestows regulatory and supervisory authority on the Bank of Russia. the Law on Private Pension Funds. In addition to these, a myriad of regulations are being passed, amended, repealed and superseded by new regulations on a continual basis. Russian legislators and financial regulators have long been concerned with finding an equilibrium between ensuring access to international capital markets for Russian issuers and preventing the liquidity drain to foreign markets. Measures to find this balance include, most notably, a requirement for a Bank of Russia approval of an offshore securities issue by a Russian issuer. This approval for equity securities is conditional upon (1) the state registration of the new issue of securities in Russia, (2) the securities being listed on a Russian exchange, (3) the number of shares traded outside Russia not exceeding a prescribed threshold (varying between 5 per cent and 25 per cent, depending on a number of factors, including local free float, Russia's strategic interests, inter-regulator agreements), and (4) a restriction on the exercise of voting powers by any persons other than the security holders. Notably, however, the quantitative restrictions on the number of shares available for an offshore offering by the most liquid Russian issuers do not apply, provided that the offering meets certain additional requirements. Foreign issuers are also restricted in their ability to tap into Russian capital markets, although in a different manner. Securities issued by foreign issuers may be eligible for trading in Russia if certain requirements, as set out in Article 51.1 of the Securities Market Act, are met. First, securities issued by foreign issuers must be assigned a CUSIP2 number and a CFI3 code and recognised as 'securities' for Russian law purposes following a specified procedure. an entity that has listed its securities on an exchange approved by the Bank of Russia. Placement (i.e., offering in the primary market) of securities issued by foreign issuers requires registration of a prospectus by the Bank of Russia. In most cases, the prospectus must be co-signed by a local broker that also assumes liability for the contents of the prospectus. By contrast, admission of foreign securities for trading in the secondary market may be effected without the registration of a Russian prospectus if the securities are listed on an eligible foreign exchange and are given a dual listing by a Russian exchange. Any other offering of or trading in foreign securities requires specific permission from the Bank of Russia, which should generally be granted if certain criteria are met. The Securities Market Act allows admission to exchange trading of unsponsored foreign securities without the issuer's consent, provided that the securities are admitted to on-exchange trading outside the exchange's principal listing but that the securities have been included in the primary listing of an eligible foreign stock exchange (this latter requirement may be disapplied for debt securities) and that the securities are not restricted from public offering in Russia under their governing law. To date, however, the number of foreign securities distributed or admitted to trading in Russia (including in the form of Russian depository receipts) remains insignificant. Foreign securities that have not been admitted for distribution or public trading may be offered to qualified investors through a bilaterally negotiated secondary market transaction. Similarly, 'foreign financial instruments that are not recognised as securities' (for Russian law purposes) may only be offered to persons who are ipso jure qualified investors (various types of regulated financial institutions) or have been categorised as 'qualified investors' by a Russian broker. This awkwardly phrased provision, which amounts to a suitability-like selling restriction, has resulted in a caution-driven choice by most international dealers to have their cross-border derivative transactions with unregulated Russian corporate clients intermediated by a local broker. Local brokers alone may classify a client as a qualified investor. Because the term 'foreign financial instrument' is undefined and the regulator has to date declined to provide any interpretative guidance on its definition, these burdensome structures (which increase transaction costs and may limit the throughput capacity of a local broker) tend to be used for all underlying assets involving foreign currency, securities or other benchmarks. The choice to use a local broker also often stems from the lingering uncertainty over the enforceability of cross-border cash-settled derivative transactions with Russian unregulated entities under the gaming provisions of the Russian Civil Code. The measures designed to lower the entry barriers for foreign securities into the domestic market were mirrored by the changes to liberalise the outbound flow of securities trading flows. Most importantly, recognition of the status of foreign nominee holders of securities (even if by way of a phase-in approach sequentially encompassing government and corporate debt securities and equities) and the creation of a central depository are designed to streamline the infrastructure for a seamless cross-border flow of interests in securities and facilitate offshore trading in Russian securities. Historically, the regulatory landscape represented a patchwork of rule-making and oversight jurisdictions of a number of government agencies. Over time, however, the regulatory functions came to be concentrated first within two principal agencies – the Federal Financial Markets Service (FFMS) and the Bank of Russia – and then, since 2013, at the Bank of Russia. During the period of regulatory duopoly, which ended on 1 September 2013, the principal regulatory body for capital market activities was the FFMS. The Securities Market Act delegated a considerable amount of authority to the 'federal executive agency for the securities market' – the role of the FFMS for many years – in relation to both rule-making and oversight over the activities on financial markets, except banking, insurance and audit activities. The federal executive agency for the securities market set the rules applicable to the distribution of securities, registered prospectuses for the issue of securities by non-bank issuers (except sovereign and sub-sovereign issuers), as well as taking enforcement action against delinquent issuers. With respect to regulated market participants, it set out regulatory requirements for the activities of the professional securities market, defined capital requirements, granted licences to engage in regulated activities and enforced regulatory requirements against non-compliant firms. The Bank of Russia, for its part, determined the procedure for the issue of securities by credit organisations and registered their prospectuses. It had the oversight authority over banks, including banks' investment activities on the capital markets. It had limited rule-making jurisdiction over banks' fiduciary asset management activities, and prescribed the rules applicable to custodian activities. Through its equity stake in the principal market infrastructure projects (such as the Moscow Exchange, formerly MICEX) and its leverage as a bank regulator, the Bank of Russia had the ability indirectly to exercise considerable influence on the functioning of the market. All these factors, viewed against the backdrop of the dominant role played by banks in many sectors of the Russian capital markets, made the central bank a powerful player in the regulation and monitoring of domestic capital markets in Russia even during the period leading up to September 2013. On 1 September 2013, however, the regulatory jurisdictions of the FFMS and the Bank of Russia were merged, the FFMS was dissolved and the Bank of Russia assumed the overall regulatory and supervisory jurisdiction across all market segments, thus becoming the single 'mega-regulator'. To ensure continuity, the core FFMS staff members were transferred to the newly formed regulatory arm of the bank – the Financial Markets Service of the Bank of Russia. The Russian court system comprises the Constitutional Court, courts of general jurisdiction, state commercial courts (arbitration courts) and military tribunals. As a general rule, disputes involving natural persons are adjudicated by the courts of general jurisdiction. Commercial disputes between legal entities or registered entrepreneurs are adjudicated by the arbitration courts. In addition, certain categories of disputes fall within the subject matter jurisdiction of the arbitration courts irrespective of the identity of the disputing parties: all insolvency cases, corporate disputes (including derivative lawsuits, challenges to corporate governance actions and other causes of action affecting shareholders' rights), claims against securities custodians and certain others. Given substantial interest on the part of financial institutions to enter into complex financial transactions with high net worth individuals, suggestions have been made that the above list should be expanded to include financial market disputes within the exclusive subject matter jurisdiction of the arbitration courts, which are far better equipped to handle them than the courts of general jurisdiction, but this change is yet to be implemented. There are more than 80 arbitration courts at the trial level across Russia (i.e., courts of the first instance), each covering a geographically defined judicial district. These courts handle both the trial per se and the first level of the appeal process. The appellate division is composed of different judges of the same court. The next level of the appeal process – the cassation division – is made up of 10 federal circuit courts that have appellate jurisdiction over the decisions rendered by the appellate division of the arbitration courts within the relevant judicial circuit. Finally, the Supreme Court is the highest state court in Russia for both the courts of general jurisdiction and – since 2014 – the arbitration courts, and has the ultimate (but largely discretionary) appellate jurisdiction over cassation decisions, as well as the original jurisdiction over a limited number of matters. The internal structure of the arbitration courts often accommodates the need for specialist expertise in various areas of commercial disputes. Panels specialising in corporate law, insolvency and other matters are often created within the structure of the courts. Since 2012, special financial panels have been created in a number of courts in key financial centres, including the Arbitration Court for the City of Moscow and the Federal Arbitration Court for the Moscow circuit. This was the judiciary's response to an ever-increasing complexity of recognised financial instruments that regulatory developments have spawned in the Russian capital markets. The trends reflected in legislative amendments and actions by the Bank of Russia indicate a policy of promoting further integration of domestic financial markets into the international network while gradually lowering protection barriers for both inbound and outbound investments. Recognition of foreign nominees (a status long denied to foreign brokers, custodians and other nominee holders), Russia's commitment to the G20 financial regulatory reform objectives, the introduction of new concepts such as special purpose vehicles, securitisation, note issuance programmes, asset-backed securities, escrow accounts, recognition of close-out netting, further liberalisation of foreign exchange (FX) controls and large-scale amendments to the Civil Code (as discussed in the previous edition), which have been favourable to financial market transactions, are the latest manifestations of the trend. Simplification of the procedure for issuing new securities in the domestic market and the introduction of additional protections to bondholders also represent long-awaited market-friendly measures designed to encourage companies to tap the securities markets amid diminishing liquidity in the domestic capital markets. Much like the three preceding years, 2018 has been a year in which Russian capital markets have been affected by opposing forces. On the one hand, the statutory and regulatory reforms referred to in Section I have laid the foundations for a quantum leap of market activities and a new level of complexity of financial techniques and instruments available to market participants. These developments, however, have largely been eclipsed by sanctions in the international sector affecting, inter alia, the ability of some of the largest players in the Russian financial and energy sectors to issue new debt and equity securities or otherwise raise capital in international financial markets. Complying with the existing sanctions and apprehensive of more sanctions to come as a result of an escalation of geopolitical tensions regarding the situations in Ukraine and Syria, allegations of intervention in the electoral process in other countries and of Russia's involvement in the poisoning of a former Russian military intelligence officer in the United Kingdom, most international financial institutions have sharply curtailed their dealings with Russian counterparties, thus bringing the cross-border capital market flows for new issues to a virtual halt. Predictably, this has had a knock-on effect on local market flows and liquidity, particularly in non-rouble currencies. There has been no indication so far in 2018 that the sanctions are likely to be softened or lifted in the short term. On the contrary, we have seen new sanctions introduced and a real risk of a tightening of the sanctions regime. As a result, despite some positives in the legislative and regulatory agenda, 2018 has largely been a period of doldrums in the Russian financial markets. The mid- to long-term effects of the international sanctions on Russian capital markets – both local and cross-border – cannot be easily or accurately assessed at the time of writing as much will depend on how the international geopolitical situation evolves and whether the sanctions are tightened or relaxed as a result. As was the case in 2017, 2018 has been an interesting not so much from the standpoint of changes to the existing legislative framework but rather as a stress test for some of the principal features of a framework that has been put in place over the past few years. The financial sector is undergoing a dramatic shake-up. A combination of two factors – the economic slowdown and the resulting deterioration of the credit quality of banks' loan portfolios on the one hand, and the Bank of Russia's toughening of prudential supervision enforcement practices on the other – has resulted in a large-scale reconfiguration of the structure of the Russian banking sector. Many privately owned banks – including the largest – lost their licences and have been put into bankruptcy or have been taken over by the regulator acting through the Deposit Insurance Agency or a newly created Foundation for the Consolidation of the Banking Sector. The recently adopted recovery and resolution regime is being applied on a large scale, pushing out private shareholders (through mandatory write-off of outstanding equity securities) and replacing them in most cases with government control. The banking business – especially its large wholesale segment – is, thus, being consolidated around state-owned banks. Most statutory changes in the bankruptcy regime pre-date 2018. Notably, there was a major overhaul of the bankruptcy legislation in 2015. The two statutes that previously governed the bankruptcy proceedings of banks and non-banking organisations have been merged into a single statute. The new law contains detailed sets of rules applicable to bankruptcy proceedings affecting various types of economic actors, including various types of regulated financial entities such as banks, brokers, dealers, asset managers, clearing houses, insurance companies, private pension funds and some others. The new regime also includes certain bail-in measures applicable to the insolvency of banking institutions, which gave rise to a large number of disputes in 2017.
liberalisation of FX controls to allow foreign currency settlement under local market derivative transactions. obligations arising out of contracts governed by a master agreement (single agreement) which corresponds to the model terms envisaged by [the Securities Market Act] (hereinafter – financial contracts) shall terminate in accordance with the procedure envisaged by said master agreement (single agreement) . . . Such termination shall give rise to a monetary obligation the amount of which is to be determined in accordance with the procedure envisaged by the master agreement. The principal reason for the delay in passing the netting legislation was mistrust on the part of some Russian authorities for the potential for abuse created by netting. That mistrust is not unjustified as it is rooted in the recent history of bankruptcies of some Russian banks and corporate entities tainted by alleged and proven fraud and asset stripping. To address these concerns, the netting legislation has a number of built-in systems designed to ensure that the close-out mechanics are fair to the debtor's estate and have sufficient safeguards against retroactive changes to the transaction terms intended to create an out-of-the-money position for the debtor, which can then be netted against a creditor's liability. Under the Russian Civil Code, the model terms of a contract refer to a set of published standardised contractual provisions incorporated by reference into an agreement between the contracting parties. To be eligible for close-out netting under the Insolvency Act, the model terms must either be developed by a Russian self-regulatory organisation and approved by the Bank of Russia, or be developed by an international organisation from a list approved by the Bank of Russia. This limitation is designed to stem the uncontrolled proliferation of netting-eligible master agreements and keep the contents of such agreements in line with what the regulator recognises as legitimate market practice. the master agreement for domestic repurchase transactions published by the National Stock Market Association. Eligible international agreements include pro forma master agreements published by the International Swaps and Derivatives Association (ISDA) and the International Capital Market Association (ICMA), provided, however, that certain changes are introduced through a schedule to the relevant master agreement to make it fully compliant with the Insolvency Act. forward transactions for the delivery of securities, foreign exchanges or commodities with a settlement cycle of T+3 or longer, provided that the parties have expressly chosen to treat them as financial derivative transactions, or cash-settled forward transactions linked to an eligible underlying asset. Credit support arrangements such as a title-transfer credit support annex should be protected by the close-out netting regime, particularly in light of the 2015 amendments to the Securities Market Act which now recognise title transfer security arrangements. The netting regime applies to pre-insolvency transactions (the cut-off point is defined slightly differently for certain types of debtors), thus disqualifying from close-out netting any transaction entered into after the commencement of an insolvency proceeding. One of the parties to a qualifying transaction must be a financial institution (Russian or foreign), a central bank (Russian or foreign) or a multilateral financial organisation. The Insolvency Act, thus, disqualifies transactions between unregulated entities and transactions with natural persons, which reflects a long-standing politically sensitive policy of discouraging derivative transactions with individuals (which, to the disappointment of the sell-side institutions, does not carve out high net worth individuals). In 2013, the ICMA published a netting opinion for repo transactions governed by the Global Master Repurchase Agreement. An ISDA netting opinion was published in February 2015, while the collateral opinion is still pending. The above regime has remained largely unaffected by the legislative and regulatory developments in 2018. Broadly speaking, the reporting regime is consistent with Russia's G20 obligations under the Pittsburgh Protocol, although it is worth noting that, in some respects, Russia's reform at this stage is somewhat milder than the G20 parameters: specifically, because of the structure of Russia's OTC market, with relatively little volume of electronic trading, the draft regulation does not envisage real-time reporting and requires submission of new data within three business days of the reportable event. In relation to transactions between a regulated and an unregulated entity, the new regulation imposes the reporting obligation solely on the regulated entity (such as a bank, broker, dealer or asset manager). Transactions between unregulated entities become reportable if certain trading volume thresholds are exceeded. The new regulation dispenses with the two features of the reporting regime that previously caused the most concern among market participants. The most troublesome, from the market's perspective, was the provision in the regulation that in the event of a discrepancy between the transaction documentation and the record in the repository, the latter will prevail for the purposes of calculating the close-out amount upon insolvency of a party. This requirement upped the ante tremendously for what otherwise should be a mundane operational routine. This provision was removed from the regulation in 2015, and the record in the trade registry no longer has priority over the contractual documentation. The new regulation solidified this position. The other feature of the old regime that inconvenienced the market was that registration of a transaction with the trade data repository was a prerequisite for the transaction's eligibility for close-out netting. The principal risk associated with this requirement was that if a transaction failed to be registered with the trade repository, the rest of the trading portfolio could also be disqualified from netting because the Securities Market Act and the relevant master agreements (both the ISDA master agreement and the local market master agreements) did not provide for a mechanism for calculating the early termination amount that would distinguish between registered and unregistered transactions. Both the law and the relevant types of master agreements require that in the event of the bankruptcy of a party to a master agreement, all outstanding transactions must terminate and the early termination amount must be calculated on the basis of the close-out values of all the thus terminated transactions. To the relief of the market participants, registration of a transaction with a trade data repository is no longer a prerequisite to netting. A Bank of Russia regulation on the types of financial derivative instruments – as amended in 2015 – now accommodates the use of credit default swaps in the domestic market. This development goes in line with the publication earlier in 2015 of the credit derivatives definitions for use with the Russian industry-standard derivatives master agreement. The hard-wiring of the local credit derivatives market, however, is taking longer than the market would have wished. The finance industry appears to lack the requisite motivation to put in place the necessary infrastructure for servicing the needs of the local credit derivatives market in the form of a local determinations committee and an auction mechanism. The principal reason for this dampened enthusiasm is that the Bank of Russia, while giving informal preliminary indications that it would be inclined to approve credit derivatives as a means of offloading credit risk for capital adequacy purposes, has so far failed to take any specific steps to implement it. Without regulatory recognition as a balance sheet management tool, credit derivatives are unlikely to top the priorities list of the local banking community. Little progress has been made in 2018 to further this agenda. One of the relatively few noticeable developments in financial legislation during the year in review has been the amendment to the Securities Markets Act accommodating the issuance of structured notes in the domestic market. Prior to the this amendment, Russian law defined a note (a bond) as a financial instrument that entitles its holder to claim from the issuer the repayment of its face amount (and any additional sums (e.g., coupon) if so provided in the terms and conditions of the note). That definition has always been construed to preclude the terms of the notes from setting out circumstances the occurrence of which would allow the issuer to pay less than the face value of the note. The new definition introduces the notion of a 'structured note', which, subject to compliance with a number of requirements set forth in the Securities Markets Act as amended, links the payout under the note to the occurrence or non-occurrence of any of the events listed as an eligible underlying for a financial derivative (a change in the interest rates, exchange rates, price of commodities or securities, the occurrence of a credit event, etc.). Structured notes may be issued to qualified investors by regulated financial institutions (banks, brokers or dealers) and by special purpose vehicles. In the event that a structured note is issued by a broker, dealer or special purpose vehicle, it must be collateralised. At the end of December 2017, Russia passed a special federal law on syndicated loans that sets out the framework for creating a lenders' syndicate, addresses issues pertaining to the inter-creditor agreements and other governance issues within the syndicate, and facilitates secondary market trading in the syndicated loan market. Notably, a recent market initiative resulted in the development of industry-standard documentation for syndicated loans (similar to the Loan Market Association standard), but the development of the market has largely been hampered by legal uncertainties, which the new law is designed to resolve. The last week of 2011 was marked by the approval by the FFMS and the publication of a new version of the model terms of a contract (a pro forma master agreement) for domestic derivatives transactions. The agreement is a revised version of the 2009 Model Terms of Financial Derivative Transactions jointly developed by the Russian National Association of Securities Market Participants (NAUFOR), the Association of Russian Banks (ARB) and the National Foreign Exchange Association of Russia (NFEA). The 2011 version contains amendments required by the Securities Market Act and is netting-compliant for the purposes of the Insolvency Act. A barely retouched 2011 version of the product annexes, covering such underlyings as foreign exchange, interest rates, equities and fixed income securities, has also been published. By contrast, the credit support annex has undergone some more noticeable changes designed to ensure netting-eligibility of margin amounts. Given that approval by the regulator of the model terms of a contract is a prerequisite for netting eligibility of the transactions governed thereby (and, accordingly, for a more favourable capital treatment for regulated entities), the local derivatives market has largely migrated from bespoke master agreements to the industry-standard form. Since 2011, NAUFOR, the ARB and the NFEA have published the commodity definitions to be used in conjunction with the local master agreement and a set of definitions covering non-Russian equity and fixed income securities. In 2015, the credit derivatives definitions were published to complete the current set of underlying asset classes. The Russian standard contract documentation for derivative transactions largely follows – with ISDA's permission – the architecture of the ISDA master agreement and the ISDA product definitions to ensure consistency with the international OTC derivatives market and reduce the basis documentation risk between local market and cross-border transactions. Against the backdrop of geopolitical tensions, the Russian economy during the past four years has seen unprecedented volatility in the exchange rate of its domestic currency, which has led to a dramatic shake-up of other sectors of the financial markets. The financial condition of many borrowers has been tested and in some cases failed to withstand the economic pressures, which have pushed them into bankruptcy or forced sale. Yet, until early 2016 these challenges had not translated into litigation – insolvency-related or otherwise. That year, however, some of the restraints snapped and the pressures began to show. There was a dramatic widening of the shakeout of the banking sector during 2017, which has expanded further in 2018. Many privately owned banks, including the largest, have either lost their licences and are being liquidated or have been subject to recovery and resolution measures enacted during the past two to three years. Many aspects of the recovery and resolution regime are now being tested in litigation. Some holders of Russian banks' subordinated debt have challenged the retroactivity of the new bail-in provisions embedded in the insolvency legislation. Pursuant to Article 25.1 of the Law on Banks and Banking Activity, if a bank's capital adequacy ratio falls below a specified amount or if a bank finds itself subject to a recovery and resolution procedure involving public funds (currently administered by the Deposit Insurance Agency (DIA)), that bank's obligations under subordinated loans or notes automatically terminate ipso jure in an amount required to restore the bank's own funds to the required level of capital adequacy. Notably, Article 25.1 does not contain any express grandfathering language or provide for a transition period or expressly provide that it has retroactive effect. The Russian Civil Code in Article 422 contains a restriction on retroactive application of newly enacted civil law statutes affecting pre-existing contracts. Yet, debtors that found themselves on the receiving end of the recovery and resolution measures complied with the terms of the recovery plans and notified their lenders of the termination of existing subordinated obligations. It is not surprising, therefore, that the introduction of recovery and resolution measures with DIA participation in a number of banks has resulted in disputes regarding the temporal scope of the application of the bail-in provisions initiated by subordinated creditors challenging the termination of antecedent debt on the basis of Article 25.1. In more than a dozen such disputes, all but one judgment confirmed the applicability of the new bail-in regime to existing subordinated debt. Only in ORIMI v. Tavrichesky Bank did the court decide that the termination was initially invalidated on the grounds of non-retroactivity of Article 25.1. The ORIMI decision, which was 'bucking the trend' for a while, was subsequently quashed by the cassation division for the north-western judicial circuit, which rather than returning the case to lower courts for retrial instead ruled on the merits upholding termination of the subordinated loan by operation of Article 25.1, despite the argument of its non-retroactivity on the basis of Article 422 of the Russian Civil Code, which the court held to be inapplicable. Article 25.1 was held to be a mandatory provision of Russian law that is part of the insolvency regime, and as such applicable ipso jure, and to be a matter of public policy. Court practice also offers a number of other more technical arguments as to why Article 422 of the Civil Code does not preclude termination of antecedent subordinated debt by virtue of Article 25.1 of the Law on Banks and Banking Activity. Finally, while none of the bail-in cases so far adjudicated in Russian courts involved a situation where the debt was governed by foreign law, the rationale used by the courts in upholding termination (reference to public policy and insolvency) makes it unlikely that the governing law of the contract could be relied on in Russian courts to avoid the application of Article 25.1. In that regard, note that in one such dispute, a foreign holder of subordinated debt of a Russian bank filed for arbitration at the London Court for International Arbitration (LCIA) for the recognition of the debt as still enforceable and unaffected by the Russian bail-in regime. Notably, the debt was governed by Russian law and the LCIA arbitrators ruled that by virtue of an English law principle,5 which provides that a discharge of a contractual debt under the bankruptcy law of any foreign country outside the United Kingdom is not a valid discharge in England. While this principle has since been heavily criticised in England (and which is clearly a misfit in the efforts to harmonise international recovery and resolution regimes), the arbitrators have ruled that it is still good law and declined to recognise the Russian-law effect on a subordinated loan agreement governed by English law. This poses an interesting question as to whether other international holders of subordinated debt instruments issued by Russian banks may seek remedies through international forums that would not be available to them in Russian courts. the payout profile of the swap was skewed in favour of the bank, including as a result of posting rouble cash collateral. All these factors were held to amount to bad faith behaviour and an abuse of rights on the part of the bank, which as a matter of Russian law renders the relevant contract void ab initio. This was a case of first impression for the Russian court system in the areas of mis-selling, appropriateness and suitability. The Supreme Arbitration Court of Russia (formerly the highest commercial court in the country, which has now been disbanded and whose jurisdiction as the highest commercial court has been subsumed by the Supreme Court), previously published a draft resolution addressing some of the above issues, including the duty of a market professional to disclose to a client the economic risks embedded in an interest rate swap. The resolution was never finalised but its main thrust was for the first time endorsed in an actual dispute by Russian courts. That decision initially galvanised the industry to develop standard forms and standards of risk disclosure and best practices for the dealer community in the OTC derivatives market. Yet, before that initiative produced any tangible results, another dispute erupted on a scale that is rarely seen in Russian courts. The Russian pipeline monopoly Transneft filed a lawsuit against the largest Russian bank, Sberbank, for the voiding of a barrier FX call option transaction. The notional amount of the transaction was set at US$2 billion. The instrument was sold to the company as a 'cheapener' of the service costs of a rouble bond issued by the company. The bank claimed that selling the option with a knock-in barrier level well above the current US dollar/rouble spot rate carried little risk for the company yet would allow it to receive an option premium for the sold call option that would reduce the effective coupon rate below the rouble bond. Soon after the transaction was entered into, however, the US dollar/rouble exchange rate broke through the barrier level and left the company with losses under the transaction in the amount of more than US$1 billion. The company claimed that the instrument was unsuitable for its declared purposes as it exposed the company to unlimited losses, the risk level was misrepresented by the bank, the marketing materials were contradictory and confusing, and the bank failed in its duty of good faith to explain in an ample and clear fashion the nature of the transaction and the risks involved and ascertain that the company properly understood the risks. The court of first instance sided with the company and ruled that the breach of good faith obligations on the part of the dealer – and the standard of good faith is more rigorous in the context of selling complex derivative instruments – rendered the transaction void ab initio. The bank appealed and the appellate court reversed the lower court decision, invoking the fact that the company is a large sophisticated company with an in-house economics department that should have understood the risks embedded in the transaction. In the appellate court's view, the risks were properly disclosed by the bank and the terms of the transaction were balanced and fair. The company challenged the appellate court's decision in the cassation court. However, the dispute was settled out of court in early 2018 before the cassation court rendered its decision. This dispute revealed the shortfalls of the fledgling regulatory framework affecting derivatives and other complex financial instruments, which at the time contained only rudimentary standards of client classification, risk disclosure, appropriateness and suitability. Such formal rules only existed in the form of self-regulatory organisation (SRO) standards developed for the securities market, and yet the appellate division refused to apply them by way of legal analogy to the OTC derivatives market, thus leaving the end user community without the requisite statutory protections. The fall-back requirement of good faith does not necessarily fill the void, largely because the courts are themselves struggling to understand what should be the required standards of behaviour in the market. The regulator, which is best positioned to formulate the guidelines, has so far failed to devote sufficient attention to that area. The financial industry has stepped up to the plate and developed a set of standards for disclosure of risks embedded in derivative transactions. These standards are expected to be approved by leading SROs for mandatory use by broker-dealers and recommended by the Bank of Russia for use by banks. The parameters for assessing appropriateness and suitability, however, remain blurred. For a while, one of the major impediments to the development of the derivatives markets – both domestic and cross-border – was the uncertain, and often market-unfriendly, tax regime applicable to derivative transactions. The section of the Russian Tax Code governing taxation of repo and derivative transactions underwent a significant overhaul with the aim of creating a tax environment conducive to the development of this market. As amended, the Tax Code more clearly defines which instruments qualify for a special tax regime applicable to derivative instruments. With the exception of weather derivatives and transactions referenced to official statistical data (and, in the case of transactions with natural persons, credit derivatives), all transactions that fall within the definition of derivatives under the Securities Markets Act enjoy the special tax regime. Cash-settled derivatives are treated as derivatives in all circumstances, while deliverable transactions enjoy the same treatment if the parties made the relevant election in their accounting policies. Dealers are allowed to deduct derivatives-related losses from their overall income tax base. Non-dealers calculate their tax liabilities for derivatives-related income (or losses) separately from the rest of their activities. Importantly, the amendments have substantially liberalised the rules applicable to the treatment of hedging transactions, thus allowing the taxpayer significantly more flexibility in determining its hedging strategies. The role of the stock exchange for the Russian market is paramount. In the absence of alternative trading systems (including non-exchange electronic venues such as electronic communications networks or multilateral trading facilities), the Moscow Exchange is the principal cluster of liquidity for the cash equities and fixed-income markets. The on-exchange derivatives market trades across all assets classes (except credit) and serves as the principal forward price benchmark for the relevant underlying assets and indices not only for commercial purpose but also for tax and accounting. The OTC segment is either very small relative to the exchange-traded market (e.g., derivatives on equity or fixed income securities) or offers products that are not yet offered by the exchange (e.g., interest-rate swaps or cross-currency swaps). In that sense, the exchange-traded and the OTC markets are largely complementary at this time rather than competitive. Commodity exchanges, despite the commodity-oriented structure of Russia's economy, have for a long time struggled to justify their existence. The liquidity continues to be insignificant as most commodity producers prefer to enter into direct offtake relationships with buyers. The development of organised commodity markets was given a new thrust with the establishment of the St Petersburg International Mercantile Exchange (SPIMEX) in light of the new legislative regime designed to bring transparency to the commodity markets by compelling mandatory transaction reporting to a commodity exchange even for OTC sale contracts. SPIMEX quickly developed a series of indices for various groups of commodities, which have been included as commodity reference prices in the commodity annex to the Russian standard OTC derivatives documentation. While Russia has committed to ensure central counterparty (CCP) clearing of all standardised derivatives under the G20 Pittsburgh Protocol, it is not yet mandating central clearing of OTC derivatives. The very notion of a CCP clearing appeared for the first time in Russian law in 2012 with the adoption of the Law on Clearing. Although the Law on Clearing provides some basic protections to CCPs, all the issues that are currently discussed and grappled with by both regulators and various CCPs throughout the world will need to be thought through from scratch for the Russian market (e.g., which model of segregation can be accommodated under Russian law, risk management procedures, loss mutualisation, client clearing documentation). This notwithstanding, the Moscow Exchange now provides CCP clearing for OTC interest rate swaps, FX swaps and cross-currency swaps, although the clearing volumes remain low. Once the teething problems of the trial period have been resolved, the Bank of Russia intends to make clearing of such contracts mandatory. The first phase will not include client clearing although attempts by the financial industry to develop a client-clearing addendum to the standard OTC documentation are under way. The role of the leading global rating agencies is fairly limited in the Russian domestic market but obviously affects Russian borrowers and issuers that have tapped the international markets. Attempts to create domestic rating agencies (including as a policy measure designed to create a counterbalance to US-based rating agencies) have so far had only limited success but have been reinvigorated in light of the geopolitical tensions. A new national credit rating agency was established at the end of 2015, with the capital of 3 billion roubles evenly divided among investors and a cap of 5 per cent on an individual ownership stake. While the legislative reforms of the past few years represent a pivotal change in the regulation of the capital markets in Russia, the success or failure of such reforms can only be judged with the passage of time. The principal litmus test of whether the decisions made were the right ones will be the sustainable growth and sophistication of the capital markets. Currently, however, the accuracy of any litmus test is compromised by the challenging geopolitical situation that Russia has found itself in, and those tensions have shown no sign of subsiding in 2018. The new regulatory paradigm that has begun to take shape with the legislative and regulatory progress, the creation of a mega-regulator and the ongoing implementation of the G20 reform measures is now facing a strong headwind in the form of political tensions. The international financial sanctions against some of the leading Russian companies and their expansion in 2018 are bound to leave an imprint on how Russian capital markets will develop in the short to medium term. Reorientation towards the Asian markets and a search for alternative funding sources unaffected by the current sanctions regime and supplanting cross-border flows with domestic growth require time. In the meantime, if the current breakdown in the economic and financial integration between the Russian and the global financial markets continues, the local markets' growth prospects are likely to be subdued for some time to come. 1 Vladimir Khrenov is a partner at Monastyrsky, Zyuba, Stepanov & Partners. 2 The Committee on Uniform Security Identification Procedures. 3 Classification of financial instrument according to ISO 10962. 4 The Committee of Experts on the Evaluation of Anti-Money Laundering Measures and the Financing of Terrorism – MONEYVAL – is a permanent monitoring body of the Council of Europe. 5 Sometimes referred to as the Gibbs principle as it was first set out in the decision of the Court of Appeal in Antony Gibbs & Sons v. La Société Industrielle et Commerciale des Métaux (1890).